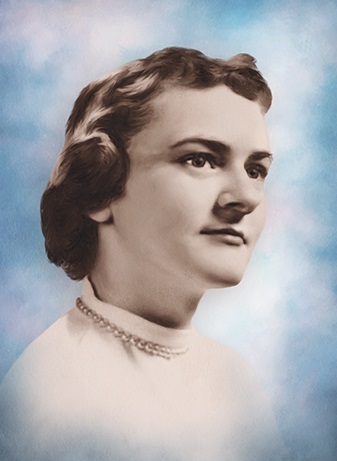 Eva M. Butler, age 78, born and lived all her life in Coraopolis, passed on Wednesday, February 6, 2019, unexpectedly from complications of pneumonia at Allegheny General Hospital. Eva, along with her best friend, worked at Fanning’s Drug Store and it was there that she was swept off her feet by “her man” in uniform. She leaves behind her beloved husband of 60 years, LeRoy A. Butler. They have four wonderful children Tammy Wyberg, Michael (Gloria), Andrew, and Francine Butler; 4 adored grandchildren Lexi, Amber, Michael and Devon along with 9 great grandchildren. Kind and friendly, she would go out of her way for others, example, getting up early just to help co-workers get to work. Eva’s passion was cooking and baking and thus, she became the head cook for over 25 years at Ohio Valley Hospital. Her children will be carrying on her culinary legacy through her recipes for nut horns and Ricotta Pie” Easter Pizza”. The comfort she provided for her family and others, along with many other traits, will be missed forever but carried in our hearts. Visitation Sunday 2-4, 6-8 at Copeland’s Coraopolis, 867 Fifth Ave. where a Blessing Service will be held on Monday at 1:30 PM. Burial will follow in Coraopolis Cemetery.